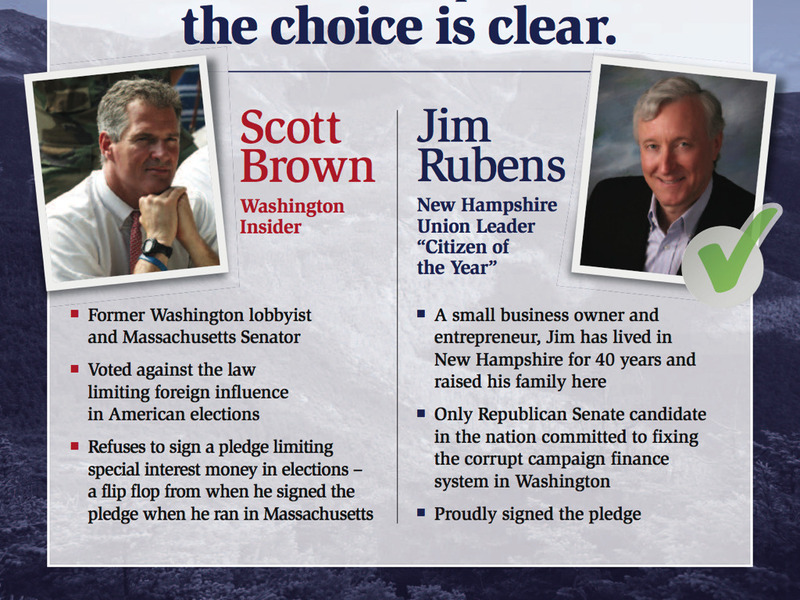 Scott Brown: Call Me A Lobbyist And I Might Sue You! The letter from the Brown campaign demanded that Lessig stop sending the mailer and retract the statement in a media appearance. “If you fail to immediately cease the mailer in question, we are leaving all our legal options on the table,” Colin Reed, Brown’s campaign manager, wrote to conclude the letter. Lessig acknowledged in his post that Brown might not have been a lobbyist by the strict definition of the U.S. Senate, which oversees lobbyist registration and disclosure in Washington, but he pointed to a Hill report from March 2013 after Brown had been hired by Nixon Peabody, a law and lobbying firm. The Hill reported that Brown would work as counsel on “business and governmental affairs” for the firm. “I hadn’t received the memo that explained that the English language is now regulated by the rules of the United States Senate,” Lessig wrote on Sunday.